I was starting to get a little grumpy, especially since Mr Harpy was stuck in limbo somewhere and couldn’t even log on. However the more I played, the more I got drawn in. Not only is the landscape stunningly beautiful but in many regards, MoP ticks all my mental boxes. The quest chains range from the fun to the serious as do the rewards. Both Theramore and Southshore get mentioned by the NPCs in the first ten minutes and there is a real sense of a world at war (at least from the Alliance perspective). The Sha, the bad guys of the piece are introduced in act one and have their nasty nature spelt out for us just to make sure there will be no misunderstandings later. The little details are important and I feel that Blizzard have nailed most of them spot on, from the voice acting for a lot of the quests which really helps bring them to life to the little scenes being played out by the NPCs. I also think I’m in love with Sky Admiral Rogers, not only is she clearly a ganker at heart but the moment when she told Admiral Taylor to “put his big boy pants on” was jaw-droppingly perfect. A few more like her and the Horde won’t stand a chance. So far I’ve only run the first two dungeons but again, I have nothing negative to say about either of them. I loved the idea of Temple of the Jade Serpent with it’s library of possessed scrolls from the beta but having now run through the Brewery, I’m not sure I could pick a favourite. Stories coming to life versus the adorable Vermling, it’s a hard one to call. In short, I’m basically back to vanilla. The little wide eyed girl in a candy shop trying to do everything at once because there is so much to see, to listen to and to play with. In the Cataclysm drought I found myself questioning why I was playing WoW and whether I wanted to continue but now two days into MoP, I’m rather glad I chose to continue. The Destruction of Theramore: How I would have designed it. I know I and quite a few others have been pretty critical of the Theramore event so I thought I’d put my money where my mouth is and describe how I would played out the destruction had I been in charge of the design team. On the plus side it would have been epic but on the negative, MoP might have had half the budget but omelette/broken eggs and all that. There will be some spoilers for the Tides of War so if you haven’t read the book feel free to look away now. 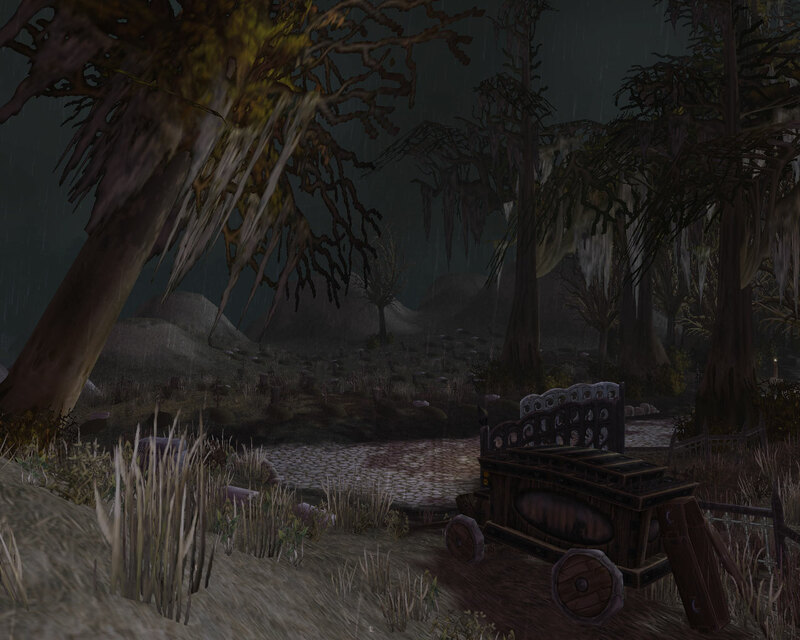 An event as momentous as the destruction of Theramore should be available to more than just those players at the level cap, therefore I would have made the first stages available to everyone of a level high enough to play in Dustwallow Marsh. Hitting level 35 especially after the changes they made to the level sizes would be easily within reach of everyone. The final “world event” bits would be available to everyone regardless of level. So in the Beginning (Phase 1): This would have started around five weeks before the expansion start date. Horde: Start with a spot of bullying in Orgrimmar helping Malkorok (if you haven’t read the book lets just say he’s a really nasty Orc) weed out some of the more “misguided” of it’s citizens. After all, Garrosh needs to know he can trust you and what better way of discovering if you’re made of the right stuff by sending you out to do his dirty work. 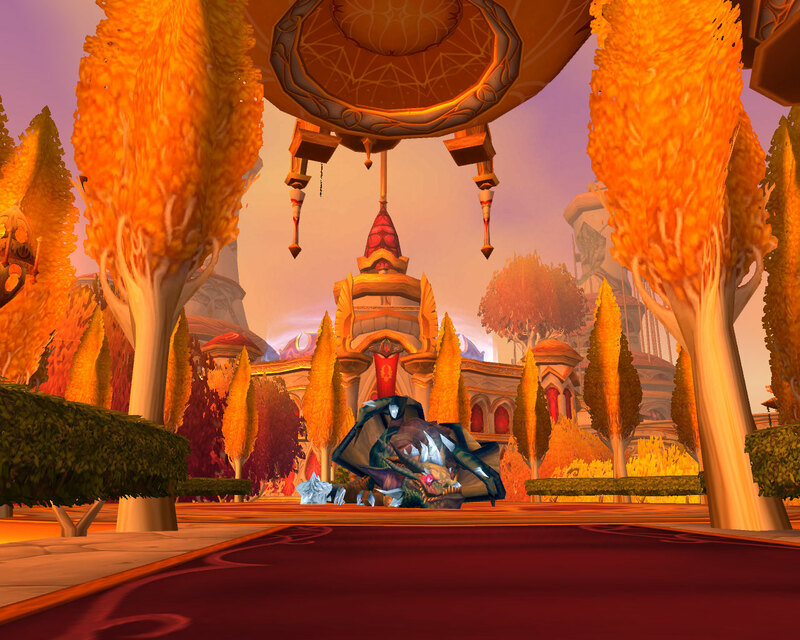 Once Garrosh felt you were loyal to the cause, you would be despatched to Dalaran to pass on a secret message to certain Bloodelf. 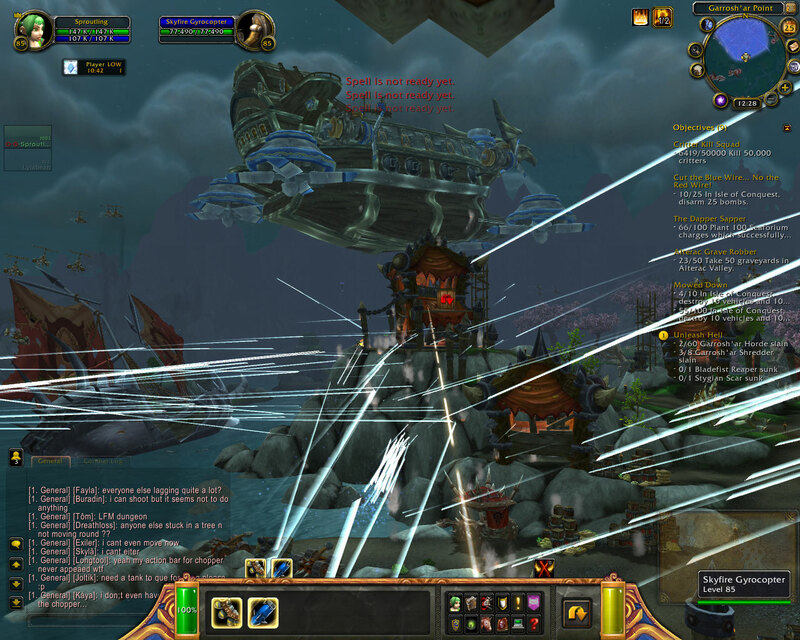 Alliance: Theramore is in danger and the heroes of the Alliance are once again called to Stormwind. Despite being battle hardened, you know little about spycraft and spend a few hours learning from the master himself, Mattias Shaw. From sneaking around the Palace learning a few dubious facts about Harrison Jones (I always knew he was a bad man!) to weeding out a Horde spy in the basement of the Blue Recluse you have to prove your mettle to the best S1: 7 has to offer. Horde – Mind-forg’d Manacles (five hour cooldown, not usable in combat): A vanity item equipped in the bracer slot which allows the wearer to disappear in a cloud of smoke a la vanish. A must for all good spies and anyone fancying a career in the circus. Unfortunately where you reappear can’t always be relied on, 98.3 percent of the time it’s twenty yards away, other times it might be on a different continent. Wearer beware and all that. Alliance – Binded Briars (five hour cooldown, not usable in combat): Basically the same as the Horde version only with a more flowery name. Phase 2: Around three weeks before the expansion start date. Would have seen both sides head towards Dustwallow Marsh. The Alliance to Theramore itself and the Horde to a zeppelin parked in the hills between the Barrens and Theramore. This phase would involve a daily style hub, one for each faction with a range of quests involving both subtle spying and actual skirmishes. Everything from aerial missions to try and discover what the opposing faction are actually up to, a spot of deep sea diving to plant mines/defuse them depending on your faction and collecting ingredients to weave magic spells to either weaken or strengthen the city walls. If you were Alliance that might involve going out alongside Shandris Feathermoon or General Marcus Jonathan or as Horde you might find yourself standing next to Baine in the battle lines. In general though, there would be an increase in troop movements with the Alliance and Horde armies amassing ready for battle. In the cities, even those of the Eastern Kingdoms there would have a been a larger martial presence than normal too as both factions geared up for full out war. Phase 3: A week before the expansion start date. For the Alliance the actual explosion would come as the end of a daily. Players would complete the quest as normal but at the end would be shown a cut scene of the zeppelin flying over Theramore, Kalecgos trying to fight it off and then the huge purple glow as what was once a thriving city became nothing but a few burnt out buildings and a massive flickering crater. At this point the Scenario would become available for characters in their 85th season. On the Horde side, things would be slightly different. On the completion of your daily if you were 85, you would be offered the chance to queue for the Scenario and when that was over, you’d see the same cut scene as the Alliance. Players lower than 85 would just see the cutscene, the same as the Alliance. Scenario: Basically as is currently is, rewarding the mini mana bomb and the tabard respectively. Phase 4: The aftermath. Starting one day after the Scenario became available. This would be a bit of a world event. It and it’s rewards would be available to everyone regardless of level and regardless of whether or not they’d completed the scenario. So for example lev 1s could take part and get involved. In Orgrimmar the Horde would be celebrating the destruction of Theramore with victory marches, fireworks and speeches. Tables laden with food, roasted clefthoof imported from Outland and other expensive and delicious foods transported from the far reaches of Azeroth. Baine and Vol’jin would be noticeably absent. Just like with the Wickerman festival, things would kick off with a speech from Garrosh every night at 7.00pm server time. During the day, drunken celebrating soldiers would be sprawled around their benches sleeping off the excesses of the night before or talking up their part in the war effort. In Stormwind the civilian population of Theramore (at least those who were safely evacuated) would be set up in a small refugee camp within the city walls. A new statue would be erected in the graveyard to give remembrance to those that died bravely defending their home. Instead of a victory march, there would be a vigil in the cemetery with candles and speeches from Jaina and Varian, remembering the dead and spurring on the living into seeking justice for their friends and loved ones. Again, things would begin at 7.00 pm only this time the event would start with the refugees moving slowly from their camp to the graveyard, in single file with their candles in hand. Once players had witnessed these events, they would receive a “reward package” containing various vanity items. A wand which is usable by everyone which conjures the smokey golden image of little giggling Gnome girl. At night if you’re by any street lamps which aren’t currently lit, as she floats past, they would automatically light. A permanent version of the one mentioned in the book which made me cry so much. A trinket which allows you to summon a blue haired Nightelf warrior to fight alongside you for five minutes. 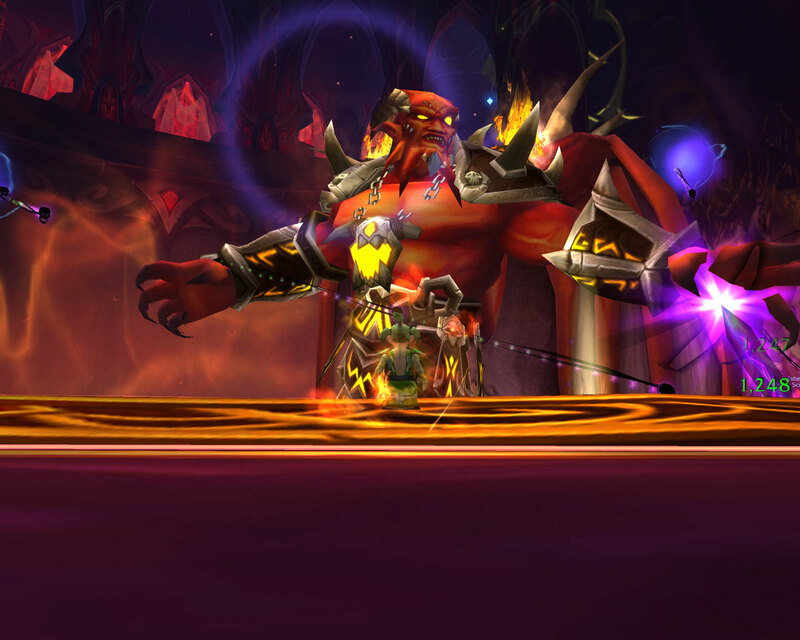 A wand which summons the image of a blackrock Orc, despite him only being there as a shadow any NPC Horde characters in the vicinity will immediately start talking about their allegiance to Garrosh and how he’s ten times the Warchief that Thrall was. A trinket which allows you to summon a Bloodelf Mage in a Sunreaver outfit to fight alongside you for five minutes. When all four fade into nothingness, the last thing they would say is “Remember Theramore”. Basically I’d want the scenario to feel like a chapter from the story rather than just a random event dropped into the game. I also think that the game world working more closely with the book would have the added and extra benefit of then making people who perhaps wouldn’t normally buy tie in books decide that yes, they would like to read the whole story to help put things completely into context. Much has already been written about Theramore and I suspect the deluge is far from over. 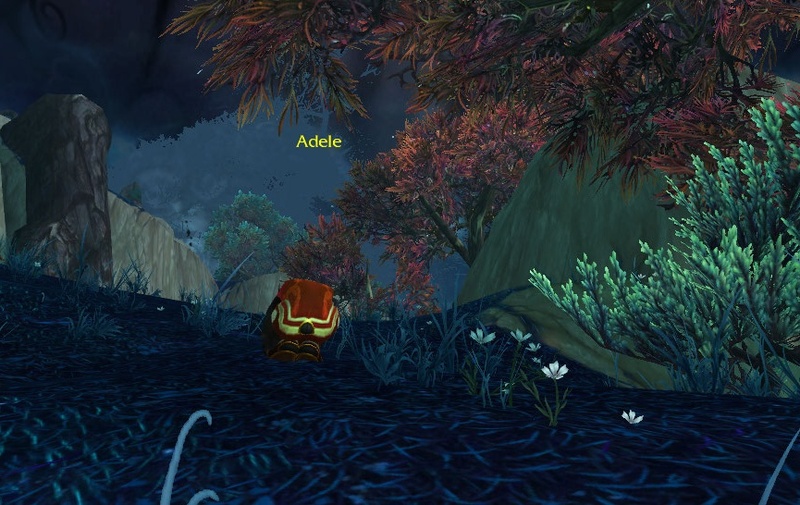 Scenarios: In principle I love the concept of scenarios, quick little bites which you and two others can run through picking up shinies and having fun and when looked at purely in that light, Theramore is fine. You kill some Orcs, blow up a few ships and help Jaina, great I had a blast as Mr Harpy and a random hunter competed to pull as many mobs as possible. In practise, I agree with those who have already stated that Theramore was the wrong story for a scenario. Without having read the book, there is a huge crater sized hole in your knowledge (and yes, my book “review” with Victorian overtones will be coming soon) and that to me is wrong. 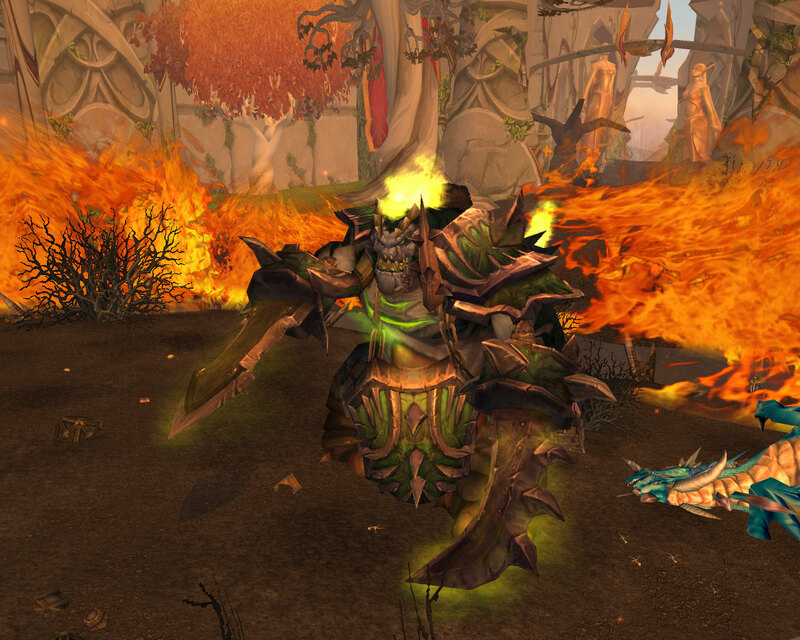 Too much of the plot recently has taken place in pages rather than in pixels, Deathwing destroying Auberdine for example or the Forsaken overrunning Southshore. We as players who are invested in this world, in these characters are powerless to do anything as some deus ex machina wrecks havoc on all we hold dear. That is a hard pill to swallow time and time again. On the destruction of a much loved city: I am still grumpy about this. Theramore was always a home from home for many of my characters, in part because of it’s outstanding sunsets and sunrises. I’m also disappointed with Jaina’s character development as seen through the Tides of War (something I will cover in later post). However that I find myself wondering whether perhaps it was necessary. 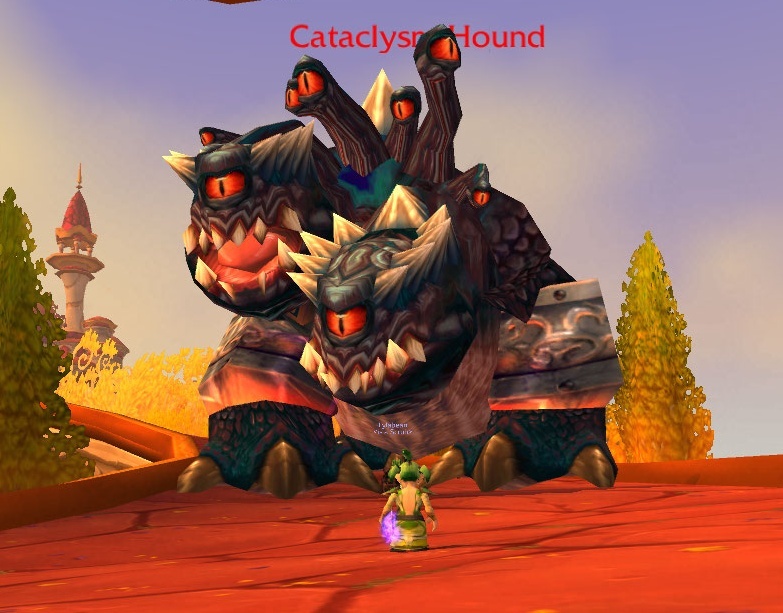 You see, despite thinking I had lost the hunger to raid, thinking that I was happy running around collecting pets and pvping, I find Theramore has created a shift in that perception. Now I want to march on Orgrimmar, I want to see Garrosh fall and then I want to spit on his corpse and plant my Theramore banner on it. 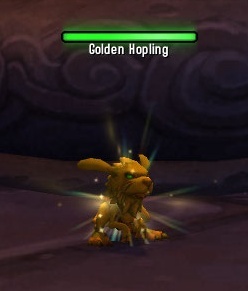 I want to dance on his face with my cute little Gnome feet and I want to see him burn just like Theramore did. Do I rate the book, no not really and do I like the scenario, no but it’s had a physical and emotional effect on me. I didn’t want to kill Deathwing even though he destroyed a plethora of my favourite places, but Garrosh….. oh he’s going down. In the end, that’s all storytelling is meant to do isn’t it. My fascination for the Darkmoon Faire is well known and documented. Even though I don’t particularly need anything from it’s stalls any more, I still venture there every month to wander around soaking up the creepiness. 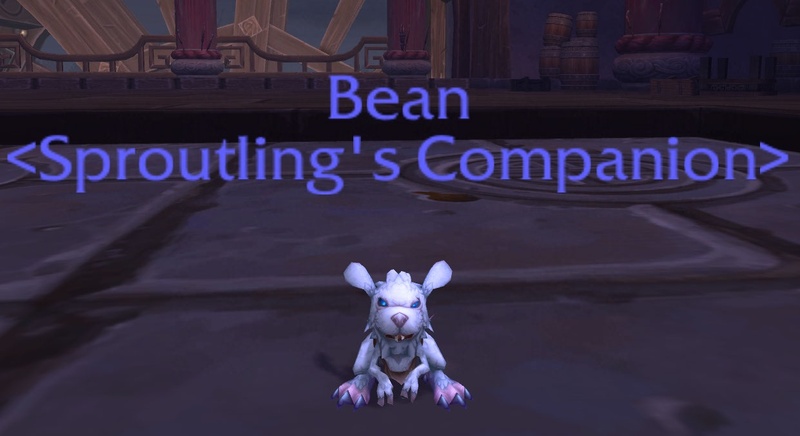 One of my favourite items has to be these dolls and if Blizzard ever added one as a mini pet which levitated around after you my happiness would be complete. As I’m not convinced that will ever happen, I thought I’d have a go at making a version of my own. One quick doodle later, I was ready to go. 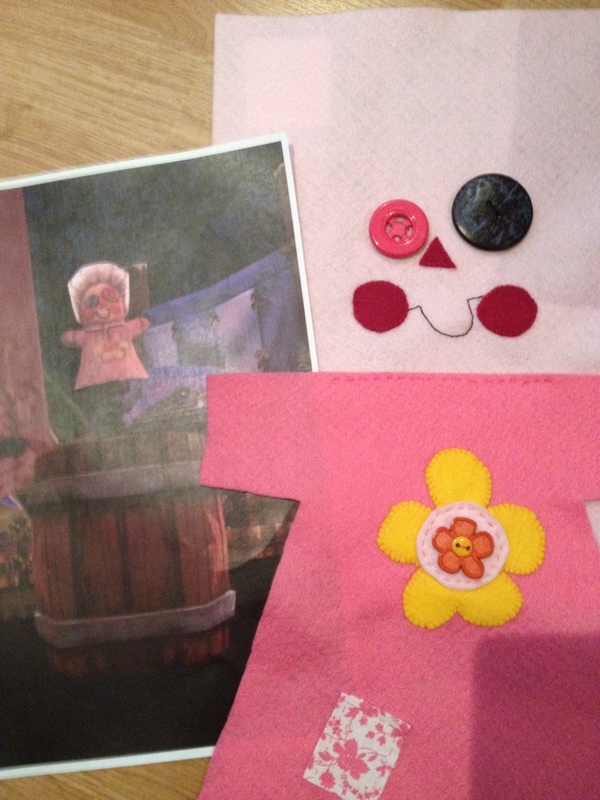 I was a little concerned as to how I would manage to make her bonnet look three dimensional but so far so good. She then had a brief stint as a hand puppet. Oh the indignity! There is a spring lurking underneath her but it’s rather hard to make out in the picture. Should I make her a sister at some point there are a few things I would do differently, mostly to do with her face shape but all in all I’m rather happy with the way she’s turned out. 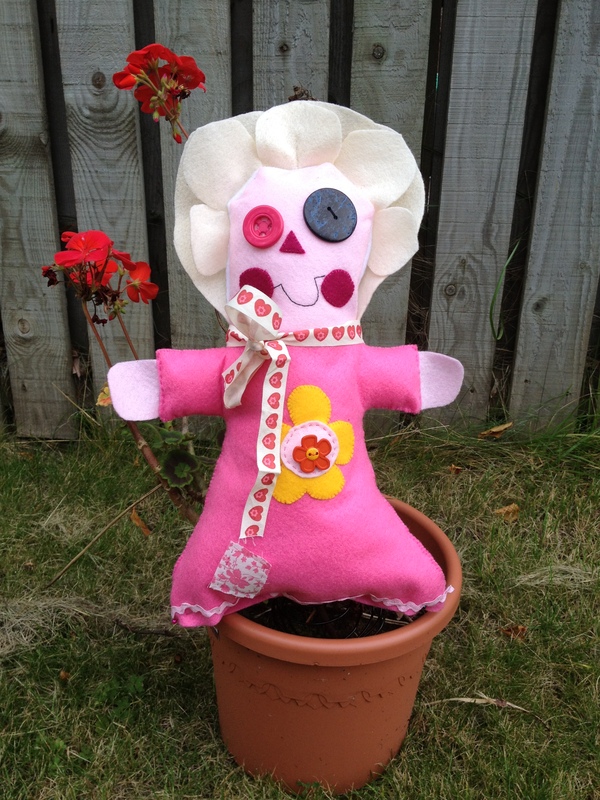 I’m going to call her Olimpia as a reference to one of those horrible tales which helped frame my childhood. 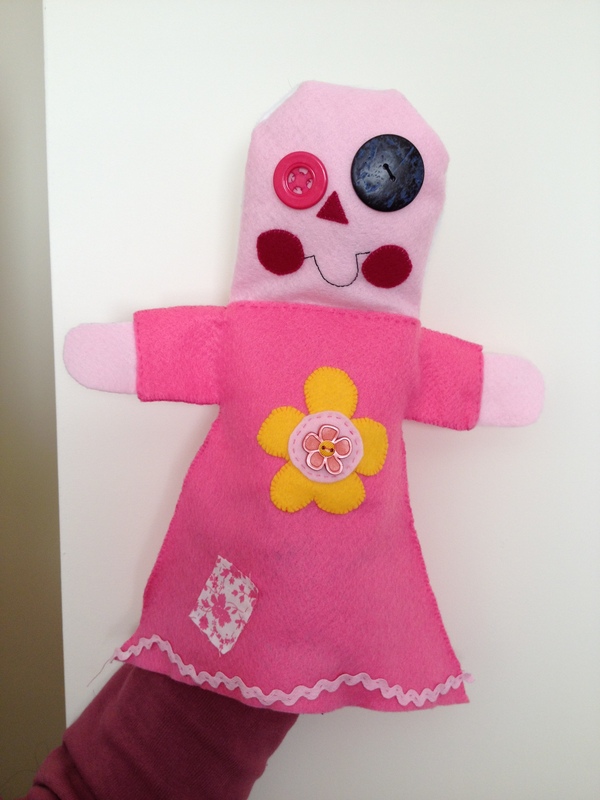 There is definitely something of the uncanny about this particular doll. 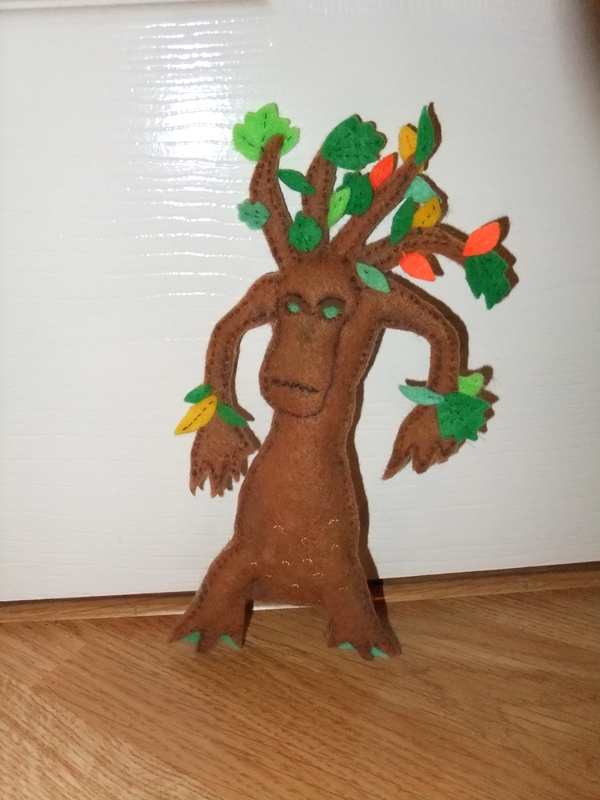 So whenever a Druid annoys me, I can jump up and down a cuddly representation of one. On the subject of crafting things, you should also check out Veroicone’s WoW charms. I particularly love the boomkins.